Toronto’s Quest For Fire have announced a short stint of dates which include NYC with Weird Owl, Chyld and BV CMJ alums Naam at Pianos on 12/4. Full tour dates are below. Quest For Fire, which features former members of The Deadly Snakes & Cursed, recently dropped their self-titled full length on Tee Pee Records. Dig on some tracks above. Word has it that another band on Tee Pee Records has scheduled a show in NYC on 11/20 with Tournament at The Charleston as part of the Chronic Youth series of shows. We have no confirmation on the “who”, but the show will feature 20+ minute jams and will sound “out of this world”. 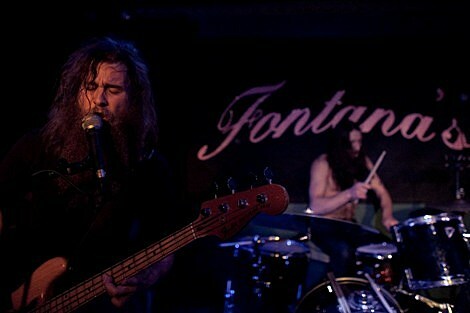 Baroness kicks off their tour with Earthless in Washington DC on Wednesday. Tickets are still on sale for the NYC show at Bowery Ballroom on Friday (11/20). Tournament is also scheduled to play NYC as part of the BV-Sponsored Coalesce + A Storm of Light + Coliseum show at Europa on 12/30. Tickets are still available. Coalesce recently played a show in Austin. Check out the pics and some free MP3s from their new EP. Chronic Youth and BV have teamed up to present Javelina, Black Tusk, Batillus and a Special Guest at The Charleston on 11/18. The flyer for that show and a list of more killer shows this week, and all tour dates, below….